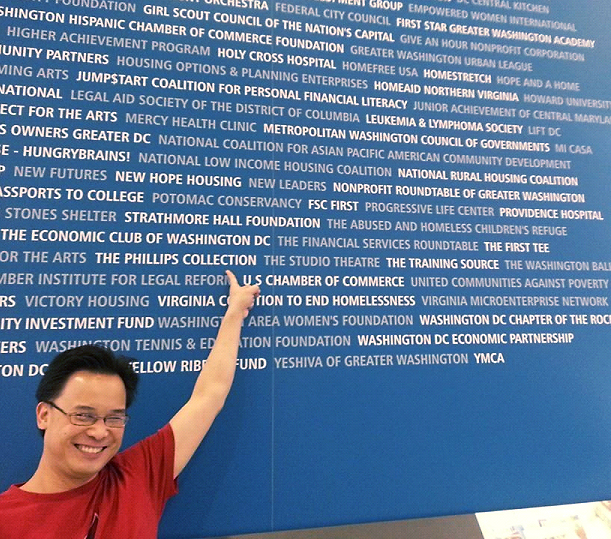 Attending the final Washington Capitals home game of the hockey season, I found our name on the Capital One display featuring the non-profit institutions they proudly support. Now if they could only find a way to support the Cap’s defense…. 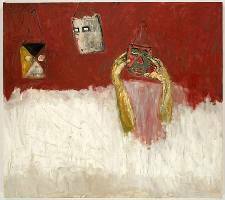 Susan Rothenberg, Three Masks, 2006. Oil on canvas, overall: 59 3/16 in x 66 1/8 in. The Phillips Collection, Washington, D.C. The Dreier Fund for Acquisitions, 2007. 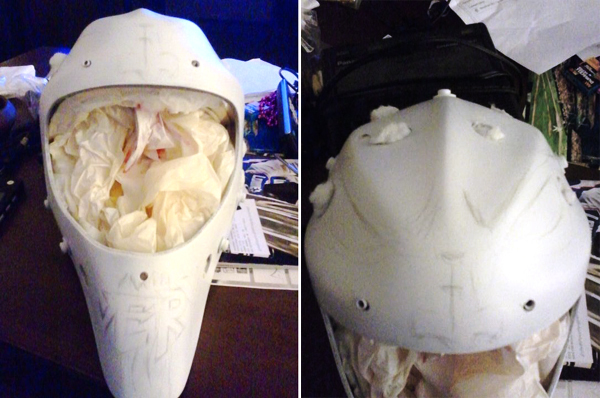 Disassemble the mask, removing the cage and all hardware. Sand the entire surface of the mask using 200, 400, and 600 grit sandpaper. Fill in any imperfections with body filler. Apply masking tape to the padding, and insert cotton balls into the vent holes to keep the mask’s interior padding intact. Spray filler primer onto the mask evenly. Pencil in the design, and apply paint. 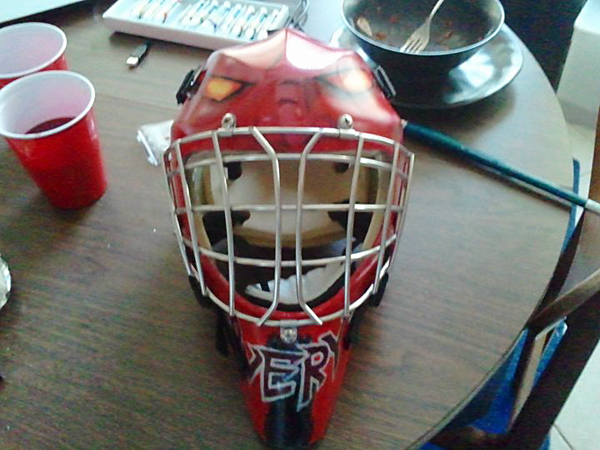 In this instance, I chose acrylic paint for its non-reactive properties with the fiberglass of the mask. Apply clearcoat, polish with polishing compound, and reassemble. (Left) The helmet in use. (Right) The author taking a shot on the goalie Avery Eng with featured mask. Photo courtesy of Jacqueline Warner.